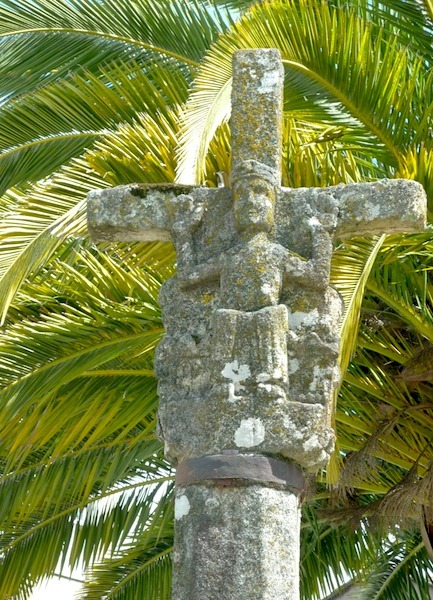 The stone cross at Melide is dated from the 14th century and is one of the oldest in Galicia. 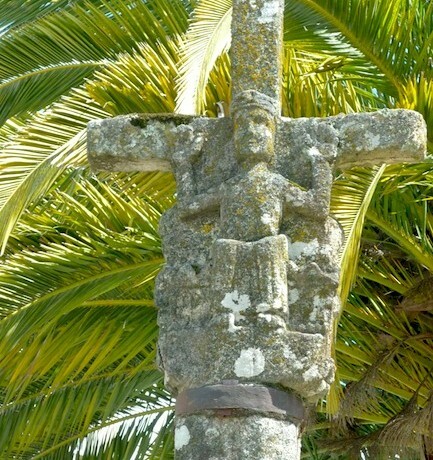 This unique cross has two faces and is located next to St. Roque Church, in the center of Melide. Christ showing his hands and with a cloth over his legs is represented on the front of the cross. Jesus on Calvary, the Virgin Mary and St. John, with a figure on its knees beside the Virgin Mary, are represented at the back.